It is famous religious center of the district known for its Shiv Temple. Every year during Sawan season local festival is celebrate for one month long.On Maha-shivratri Day, temple is visited by many disciples from different regions of Jharkhand. 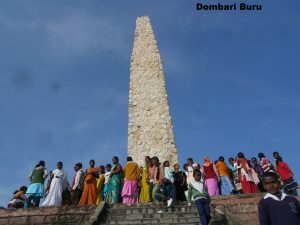 It is located on Khunti-Torpa road 9 kms from the district headquater. 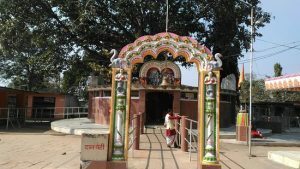 Ulihatu, is the birth place of the “DhartiAaba” of Jharkhand BhagwanBirsaMunda. 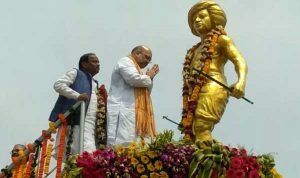 He initiated freedom fight in 1835.It is located 37 km towards North from district head quarter and further 80 kms from state capital Ranchi .Ulihatu is surrounded by Burmu Block towards East , Mandar Block towards South , Chanho Block towards west , Patratu Block towards East . Ulihatu village is surrounded by Hills and scenic beauty around is amazing. It also has sunset point near the village which is unexplored by tourist. 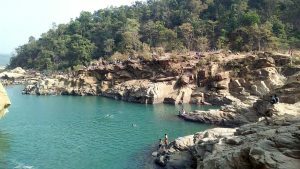 The BirsaMrigVihar is located in a beautiful sal forest of Kalamati of Khunti district and in hardly 20 Kms away from the Capital city in the Ranchi-Khunti road. The geography and vegetation provides a natural habitat for the deer for breeding in captivity. The MrigVihar is spread in an area of about 54 acre and is geographically located at 23011 .85’ North latitude and 8501 60.92’ East latitude. The BirsaMrigVihar has never looked back in attracting tourists from the year 1987 when the doors were opened for the tourists. MrigVihar has been tourist attraction for its natural beauty and close prominently to Ranchi and Khunti. It is a beautiful waterfall with clear water flow on Chatariver in Fatka panchayat of Torpa in Khunti district. It is known that the word “Perwa” denotes Pigeon and “ghagh“ means home which depicts the “House of Pigeons” inside the waterfall. It is still believed that these pigeons live inside the waterfall. How to reach- It is 40 kms from Khunti district headquater by road. This waterfall is located on Khunti-Tamad road 20kms from the district headquarter. It is located on Tajnariver. 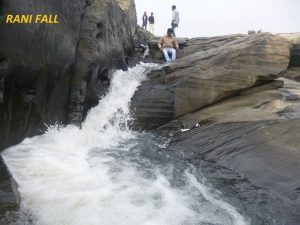 Rani fall is known for its slow river flow with sand bank around which makes it safe for tourist. How to reach-By road it is 70 km from Ranchi state capital and 20 kms from Tamad . 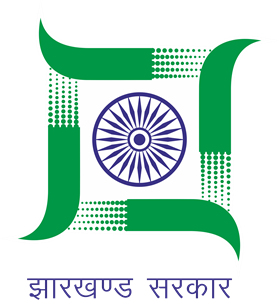 It is situated in Khunti-Tamad road. It is an old church established during British period . British infrastructure and interior can be seen in this Church. 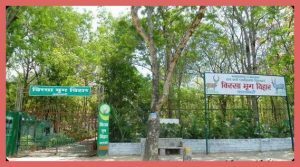 It is located in Sarvda Panchayat of Murhu block surrounded by forest area. How to reach:By road 14 kms from Murhum block headquater and 25 kms from district headquater.